Instead, Sammon wrote, Fox’s reporters should use “government option” and similar phrases — wording that a top Republican pollster had recommended in order to turn public opinion against the Democrats’ reform efforts. Journalists on the network’s flagship news program, Special Report with Bret Baier, appear to have followed Sammon’s directive in reporting on health care reform that evening. Sources familiar with the situation in Fox’s Washington bureau have told Media Matters that Sammon uses his position as managing editor to “slant” Fox’s supposedly neutral news coverage to the right. Sammon’s “government option” email is the clearest evidence yet that Sammon is aggressively pushing Fox’s reporting to the right — in this case by issuing written orders to his staff. Two months prior to Sammon’s 2009 memo, Republican pollster Frank Luntz appeared on Sean Hannity’s August 18 Fox News program. Luntz scolded Hannity for referring to the “public option” and encouraged Hannity to use “government option” instead. On October 26, 2009, Senate Majority Leader Harry Reid announced the inclusion of a public insurance option that states could opt out of in the Senate’s health care bill. That night, Special Report used “public” and “government” interchangeably when describing the public option provision. Sammon’s email appears to have had an impact. On the October 27 Special Report — unlike on the previous night’s broadcast — Fox journalists made no references to the “public option” without using versions of the pre-approved qualifiers outlined in Sammon’s and Clemente’s emails. Sammon said in an interview that the term “public option” “is a vague, bland, undescriptive phrase,” and that after all, “who would be against a public park?” The phrase “government-run plan,” he said, is “a more neutral term,” and was used just last week by a New York Times columnist. Sammon is a former reporter for the right-of-center Washington Times and replaced the well respected Brit Hume as Managing Editor of Fox News’ Washington bureau. He’s fairly portrayed in Kurtz’ article as someone who has consistently espoused a conservative point-of-view, so the points in his memo should not surprise anyone that Sammon directed a more right of center bent. 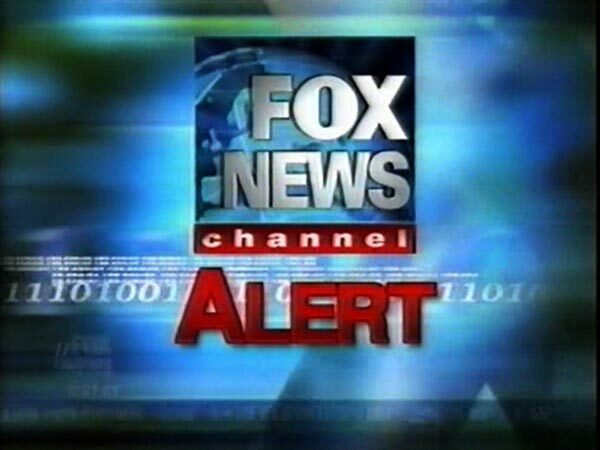 The larger issue raised, however, is the question of whether Sammon’s direction of referencing the “public option” as the “government option” crossed the sometimes blurry line that separates the opinion programming with the news programming on Fox News. Kurtz lays out a number of examples when news personalities appear to a have changed their words, namely Bret Baier and Jim Angle, who are both based in Sammon’s Washington bureau. Watching a few hours of Fox News these days amounts to a non-stop infomercial opposing the Obama Administration’s effort to reform Health Care. While there is always room for a healthy debate on the issues, please don’t look to Bill O’Reilly, Sean Hannity or Glenn Beck for a measured discourse – they rarely, if ever, present a constructive solution to the current health care problems (though there is the occasional admission that there is need for reform.) No single entity seems more entrenched in the opposition to the health care reform than Fox News. It is important to note that the examples set forth above are all right-of-center or “traditionalist” opinion media personalities who were opposed to what they now call “Obamacare.” In Kurtz’ piece Sammon defends his choice of words claiming that “government option” was more neutral, though that appears to be a simple game of semantics. To paraphrase a well-worn cliche: semantics, the last vestige of a scoundrel. The Wikileaks issue is fascinating, for sure, especially the idea that they can use the internet to disseminate information beyond a chosen few who are allowed to see it. But this is about the failure of our leadership and institutions over a long period of time and the culture of secrecy and corruption that’s brought us to this point. The system itself is leaking because its been compromised so badly. They can shut off the flow at any point and it will just leak elsewhere. The call to refer to the program as the government option instead of the public option came from Republican pollster Frank Luntz, Media Matters and Kurtz report. But this shouldn’t disqualify the new term from the Fox News stylebook. Government option is superior to public option in that it emphasizes that the government—and thus the taxpayers—will be footing the bill. As a modifier, public has many nongovernmental uses, as in public appearance, public figure, public display, public-key cryptography, public editor, public enemy, public storage, and public opinion. But when government is used as an adjective, there is no such confusion. Does that make Fox News’ semantic solution superior? I’ve always thought that Social Security should be renamed Government Ponzi Scheme. I’d also like the Export-Import Bank to be renamed the Government Subsidy Depot—but that’s another column. That Sammon issued a memo directing Fox News reporters to use a phrase he considers more accurate hardly constitutes “spin,” as the headline to Kurtz’s piece has it. If government option is spin, isn’t public option spin, too? Usage cops walk the beat at every large news organization, commanding reporters to obey the ruling stylebook. For instance, some newspapers used pro-life and pro-choice in their abortion coverage until somebody pointed out that being anti-pro-life wasn’t the same thing as being pro-death—and that pro-choice was closer to meaning pro-abortion, although that gets slippery, too, since you can be against the pro-lifers and not want to have an abortion yourself. You can quit worrying already. Opinion doesn’t have anything to do with Sammon’s memo. Indeed, Media Matters doesn’t even make any attempt to prove that Sammon’s preferred label is inaccurate. Granted, that would be hard to do, because in fact the public option is a form of government-run insurance. But obviously we can’t let anyone in the media actually say this. I suppose that might be a reasonable defense in a world where news organizations scrutinize every phrase for maximal accuracy. That, however, is not the practice at Fox News, or anywhere. Standard news practice is to simply keep using terms that have come into the public discourse and gained wide usage even if it is not the most technically accurate or neutral term. If you had a left-wing news network that decided it can no longer refer to military spending as “defense” because that presumes it is never used in an aggressive way, that would be an act of bias, regardless of the philosophical merits.